When fly anglers talk in awe of the Seychelles they are usually referring to the outer atolls. It is this collection of ocean dots that encompass the best saltwater flats fishing on the planet. The star of the show on these ocean flats is the mighty GT, the atolls of the Seychelles have become famous for sight fishing to GT's up to and over the magical one metre mark. There are plenty of other species to keep you busy between GT sightings, trophy size bonefish, Indo-Pacific permit, bumphead parrotfish and a host of other tropical reef species. Every serious saltwater fly angler deserves to fish the Seychelles at least once in their life, as there really is nothing else on this earth that compares. Farquhar consistently produces some of the finest saltwater fly-fishing on the planet. The huge variety of species, together with its diverse flats and offshore scenarios make Farquhar a complete saltwater experience for the travelling angler. Providence is a large and uninhabited atoll in the Seychelles that has remained largely untouched over the centuries. Fewer than a thousand people have been recorded as stepping foot on her shores. 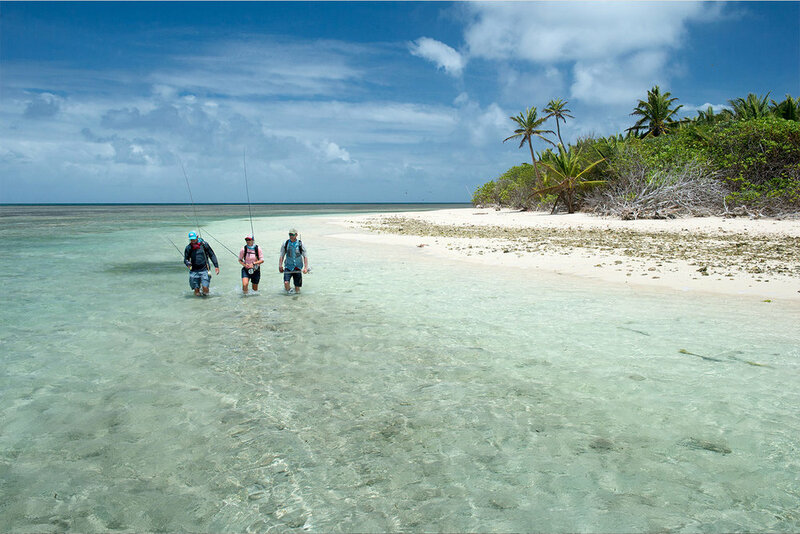 The sheer size of the atoll and endless amount of fish holding areas provide limitless flats and offshore angling potential. It is a true fly fishing wilderness! 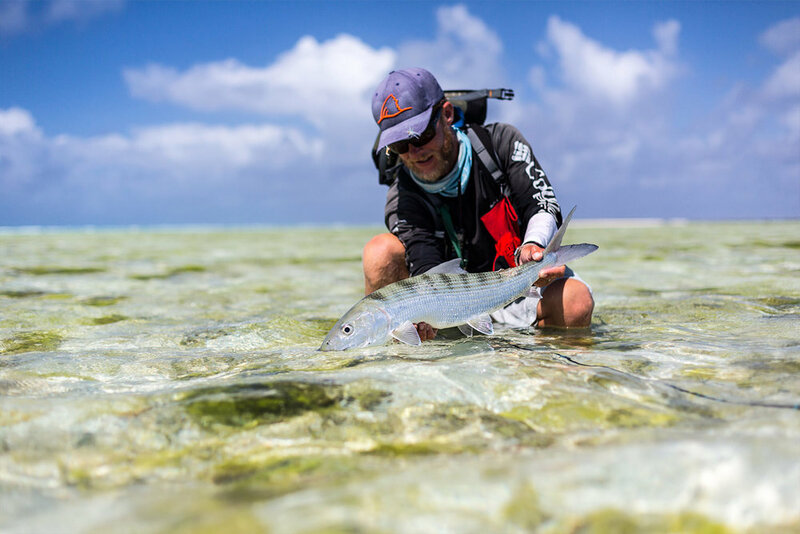 This outlandish Indian Ocean atoll offers you the finest of skinny water flats fishing to double figure bonefish plus shots at permit and giant GTs.